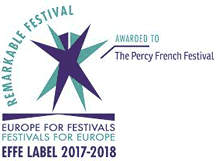 The Percy French Summer School takes place annually during the Percy French festival. Set in the wonderful historic Georgian building, Castlecoote house in his native County Roscommon, the exciting and diverse programme includes lectures, recitals, poems, monologues, music and paintings celebrating the life and times of the multi-talented William Percy French. Percy French’s multifaceted role in the Anglo-Irish cultural heritage can be shown to be both important and fascinating yet until now it has been somewhat neglected. The School seeks to illuminate the considerable social significance of French’s song writing, poetry, and paintings and their relevance to Ireland’s various ways of life today. The School has succeeded in attracting a wide range of significant authors, academics, politicians, and artists to lecture and perform. The range of lectures and events in the programmes to date reflect the broad spectrum of interests of its directors. The School’s Honorary President is, President of Ireland, Michael D. Higgins. The Percy French Summer School is an annual event that takes place in the second week in July, is set in the wonderful historic Georgian building of Castlecoote house in his native County Roscommon. We have an exciting and diverse programme of lectures, recitals, poems, monologues, music and paintings celebrating the life and times of the multi-talented William Percy French. The School features prominent speakers covering the historical and sociological context of his life and work. The Percy French Summer Schools have attracted support from a number of leading organisations including: the Arts Council, Department of Education and Skills, Failte Ireland, Roscommon County Council Library Services and Roscommon Integrated Development Company RIDC. Castlecoote House, through the Summer School, is working closely with Roscommon County Library Services to establish a Percy French Room (or rooms) to house a significant collection of documents, artefacts and memorabilia from French’s career as a song writer, poet, painter, engineer and performer. Initially to be sited in the library, the Percy French Centre seeks to enhance the experience of Summer School participants, to broaden Percy French’s fan base, and to increase tourism to the county. For the Percy French Room to fulfil its potential, we need your help. You may have Percy French related material in your home, that would gain a wider audience if shared through the Room. Maybe there is an old newspaper article, concert poster, page of verse , or even an original drawing – tucked away in your loft, waiting for a suitable home. Perhaps there is a friend or relative who is holding on to a gem – knowingly or otherwise. Why not ask them to have a look? If you do have something, no matter how small, please don’t hesitate to get in touch, and help make the Percy French Room an invaluable resource for everyone!